Despite the mild weather, moth trapping at Tophill Low NR, East Yorkshire has continued to be something of a struggle this winter. 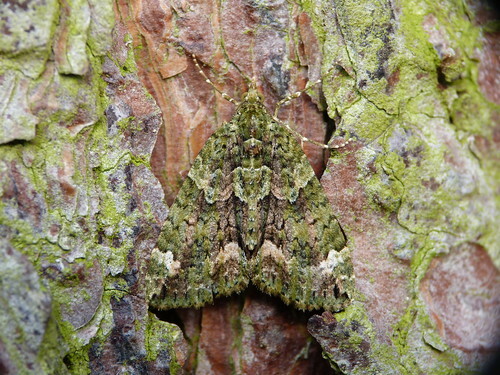 This stunning Red-green Carpet Chloroclysta siterata trapped at the end of January was the second moth of 2014 in the traps. Incredibly, we have caught less species than in early 2013, and maybe some of those will not make the 2014 list. The good winter run of gulls continues with a minimum of five different Mediterranean Gulls Ichthyaetus melanocephalus noted in the roost from mid-January to early February. 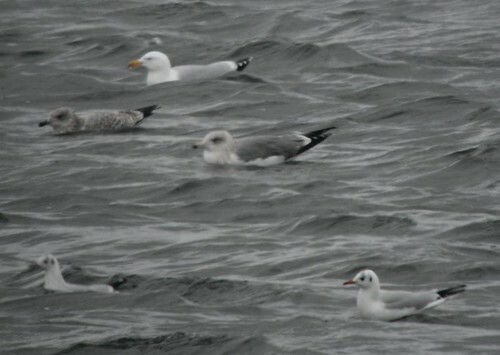 The odd Lesser Black-backed Gull Larus fuscus graellsii has started to appear and the larger gulls have been present in good numbers on and off, especially on the days that have been windy. 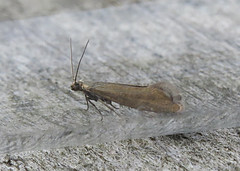 Good numbers of large larids means, among other things, a variation on the grey scale of the mantles – this incredibly dark individual was picked out in early February. The first impression is that its an incredibly dark bird to appear on D res, especially compared to the other large gulls present. A few folks have looked at the pictures – the diversity of suggestions has proved to be really quite interesting and educational. What are your thoughts on looking at the photos? One thought shared by some is that the bird is an extremely dark argentatus Herring Gull – which indicates its origins may be from the Arctic or Eastern Baltic. Interestingly, the numbers of dark mantled argentatus this winter at Tophill have been scarce despite the numbers of large larids roosting, and this bird is by far the darkest mantled bird of the group I’ve seen in 14 winters in Yorkshire. 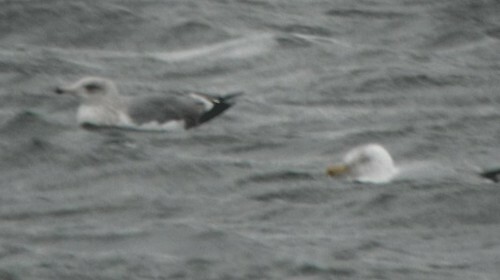 There have been many other suggestions and thoughts – Herring Gull x Lesser Black-backed L. argentatus x L. fuscus – the origins of such a bird probably would make the mantle darker. Yellow-legged Gull L. michahellis has also been suggested – even without the leg colour being seen in the photos – they were pink in the field, albeit it has been said the head streaking is a little bit extreme for this species thought some say the head shape is a fit, and Lesser Black-backed Gull. The suggestions aren’t wrong as everyone sees things differently and I offer my thanks to those that have offered their opinion, and links to photographs of individuals they consider similar. 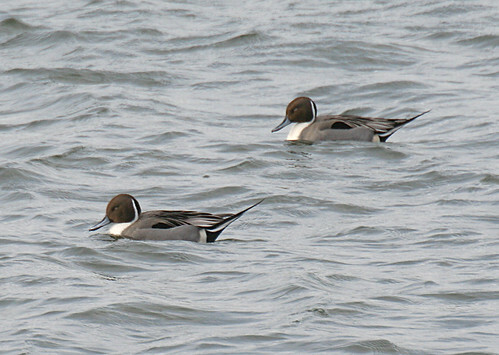 The quiet winter wildfowl season continues, although the two Scaup Aythya marila appear on and off, while these two Pintail Anas acuta were present among the skittish Wigeon A. penelope during the early part of February. 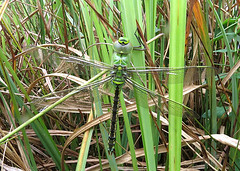 For more from Tophill Low click here.